And that applies whether or not they make the Stanley Cup Playoffs. When’s the last time that Leafs’ fans were talking about anything except “next year” this late in the season? It’s been a very long time. Playoff chatter is still prevalent. The Leafs have not made the postseason since 2004. They probably won’t this year, but all indications are that streak will end in 2012. This season, the Leafs have had several players emerge as future stalwarts in blue and white. Number one on that list is defenceman Luke Schenn. After being drafted in 2008 (by then-GM Cliff Fletcher), Schenn had a fine rookie season. Then, last year was a struggle. This season began with a ton of question marks surrounding Schenn. He erased those quickly – just like he erases opponents with his shoulders and hips. The kid’s become as rugged as any NHL blueliner and his coast-to-coast goal, last Saturday against Boston, was absolutely beautiful. 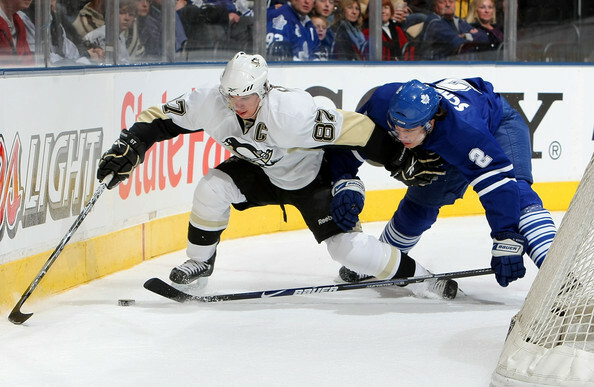 Now, with captain Dion Phaneuf, Toronto’s defence has a rock-solid 1-2. Needless to say, 23-year old, former Red Deer Rebels’ goaltender James Reimer has been the biggest pleasant surprise in Toronto this season. The kid reminds me of Ken Dryden. Long. Lanky. Smooth. Unflappable. And he has the goaltender’s best friend. No, not the posts. A very short memory. That last goal? 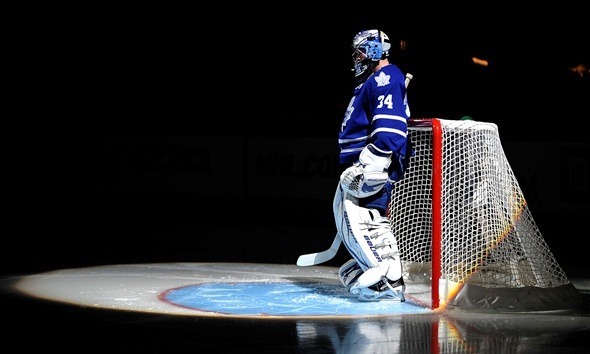 Reimer doesn’t remember it, so there’s no chance it will weigh on his mind. That’s the “Grant Fuhr Method” of goaltending. Fuhr’s in the Hockey Hall of Fame, BTW. 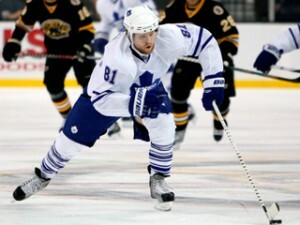 Entering this season, for most Leafs’ fans, Mikhail Grabovski was a take-him-or-leave-him proposition. Not anymore. This season, he’s shown fans exactly what he’s capable of. His December/January scoring run – coinciding with his becoming a father – was the most explosive period for any Toronto player this season. His scoring kept the Leafs in a lot of games they had no business being in. And how about that second-period beauty he wired, Tuesday night, past Wild netminder Niklas Backstrom in Minnesota? Even third- and fourth-line guys like Joey Crabb, Darryl Boyce and Tim Brent have made huge impacts this season. But it hasn’t been all roses and smiles. Phil Kessel, for example, continues to be an enigma. Oh, he’ll likely lscore more than 30 goals this season (he sits at 28 right now), but he’s one of the streakiest scorers in NHL history. At one point this year, he went fourteen without a goal. Then, in late February, he fired eight in eight games. Since then? Only one score. So strange. And defenceman Mike Komisarek has continually suffered the fans’ wrath all season. Right up until his recent injury, anyway. He always seems to be one step behind the guy who just scored for the opposition. That’s gotta be a tough cloud to live under. And Leafs’ fans can only imagine what this season would have been like had Toronto not won just three games in the entire month of November. That was especially tough to swallow in light of the team’s four-wins-in-four-games start. They’ve woven an enthralling playoff run that will likely come up just short. But it’s been a season to enjoy in Toronto, after so many years of doom and gloom. General manager Brian Burke has made sure that. Now all Leafs’ fans have to do is enjoy it, rather than continue to bemoan the fact that 1966-67 is the last season anyone seems happy about.